Multiplying and dividing fractions are some of the most difficult skills for my fifth graders to understand and master. 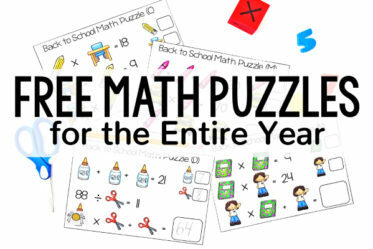 The actual solving of the equation is not difficult and many prefer these operations to adding and subtracting fractions. 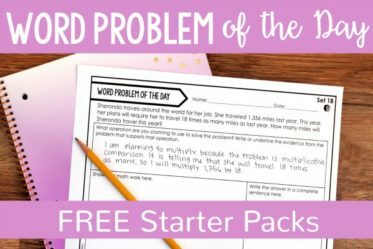 However, my students struggle with word problems involving multiplying and dividing fractions because their conceptual understanding is not strong yet. 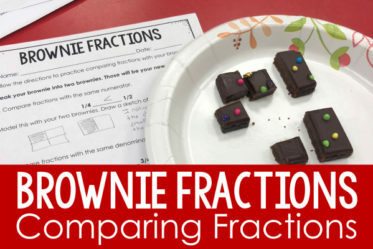 I created this “fun” activity that involved snacks to review word problems involving multiplication and division of fractions as well as continue to strengthen their conceptual understanding of the operations. 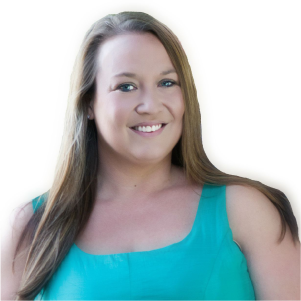 It was a huge hit, and I wanted to share it with you today. 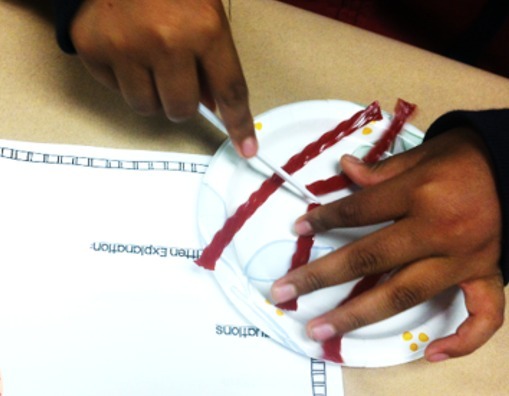 First, we used the Twizzlers to model dividing a whole number by a unit fraction. 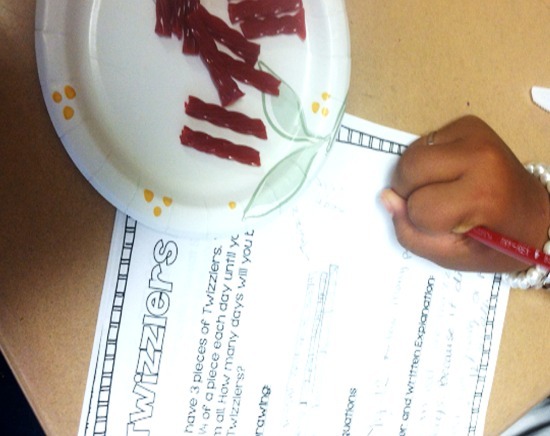 The students were given three pieces of Twizzlers. 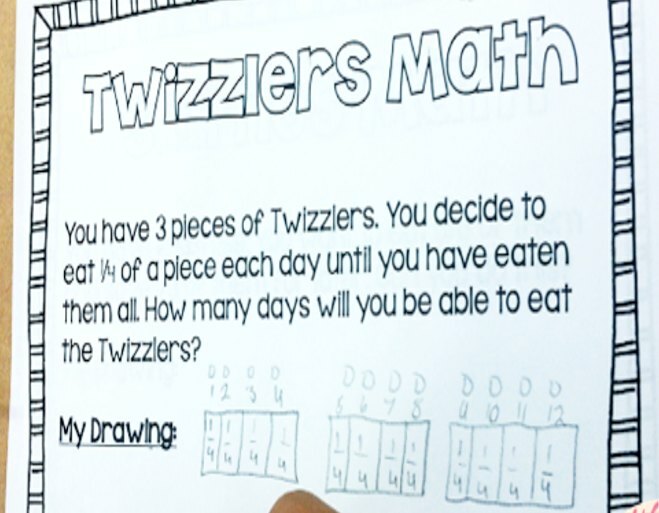 We read the problem and discussed what we should do with the Twizzlers as required by the problem. The students acted out the problem on their plates, and then drew models to represent what they had done on their paper. Next, we discussed what operation they were doing and recorded the necessary equations. Finally, the students wrapped this activity up with a sentence stating the answer and a written explanation. It took only about 10 minutes! 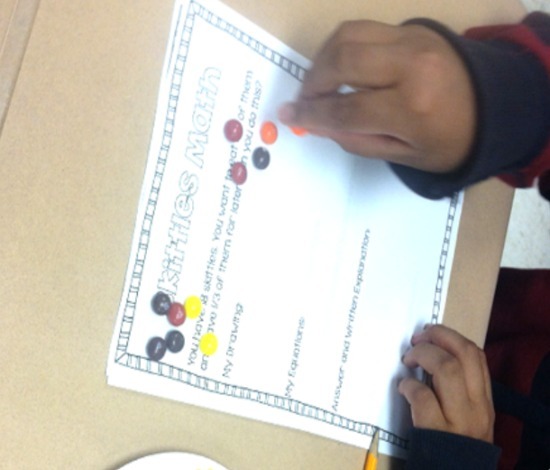 Then, we moved on to a problem involving skittles. This one was a multi-step problem that required the students to multiply fractions by whole numbers and then use that information to answer the question. They had to decide if it was possible to eat 5/6 of a total amount of skittles and have enough to save 1/3 of the skittles as well. 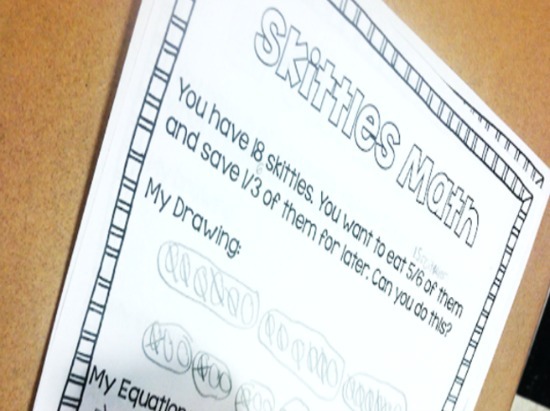 This was a good problem for my students because had several students that want to take the second fraction amount from the leftover skittles and not the total. The students had to physically group the 18 skittles into 6 groups and take 5 out to determine how many skittles 5/6 of 18 was. Then we discussed whether we were taking 1/3 of the leftover skittles or the total amount. 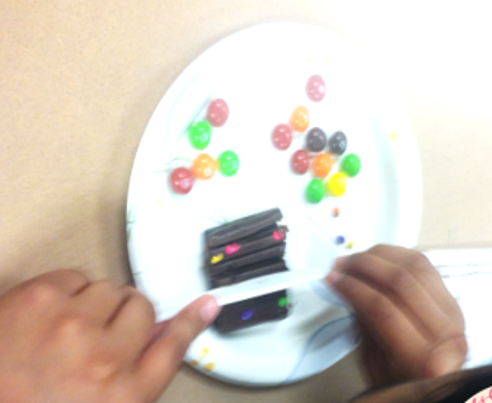 Then, they had to regroup all of the skittles into groups of 3, this time taking out 1 from each group to determine 1/3 of 18. Finally, they were able to determine the answer. Just as before, they were required to represent what they had done with a model, equations, and finally the answer and a written explanation. Last up, brownie fun! I gave each student 1/2 of a brownie. They placed the brownie on their plate and drew the missing 1/2 on their plate with a pencil so they had a representation of the whole brownie. 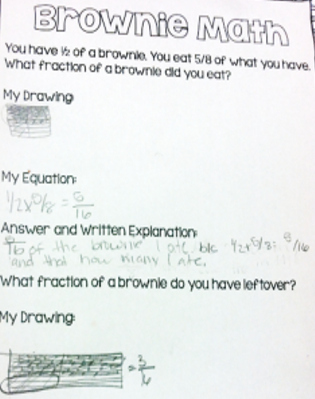 After reading the problem, we took 5/8 of the remaining brownie. We discussed the importance of also taking 5/8 of the missing one-half sized piece that they had drawn on their plate. This has been a struggle for some of my students but I think they finally understood that you also have to cut the other pieces into eighths, otherwise your pieces would not be equal. Then, of course, they represented what they had done with a model, wrote their equations, answered one more question about the leftover brownie amount, and they were done. 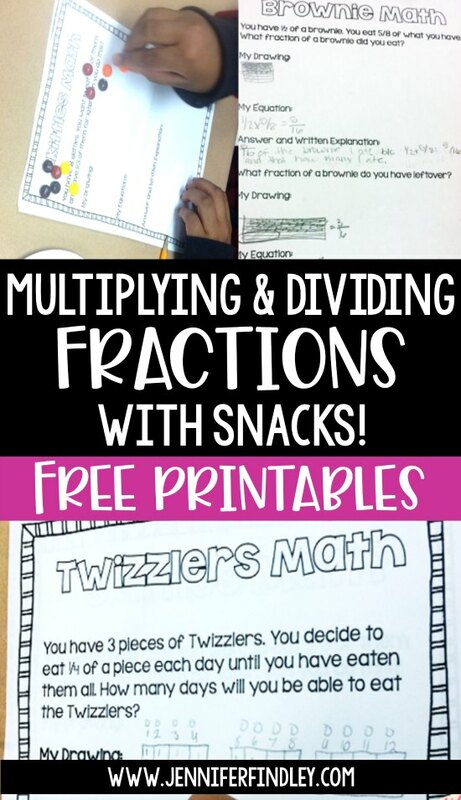 Overall, it only took about 30 minutes to complete all of the fraction activities with snacks and the students had a blast. I let them eat the snacks they had used while they were completing the handout. 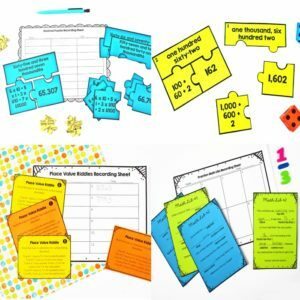 I plan to refer back to this activity and the word problems throughout the year when we solve word problems involving multiplication and division of fractions. 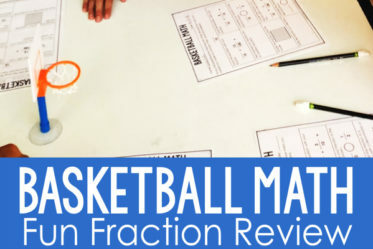 I think this engaging activity will help some of their new understandings about multiplying and dividing fractions stick with them and I can easily build of their understandings. 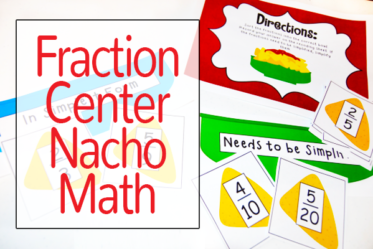 Click here or on the image below to grab all of the handouts used so you can replicate the Fraction with Snacks activities with your own students. 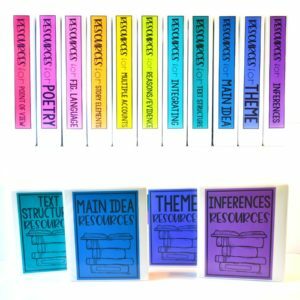 Do you use food in an instructional way in your classroom? I would love to hear your ideas! Any excuse to eat snacks! Let me know in the comments! That looks like your students had a lot of fun! 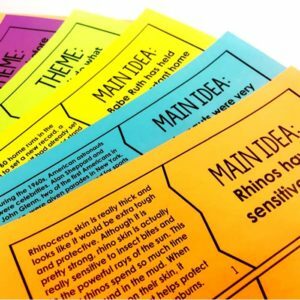 You might consider contributing something to the MaTh activitiy Thursday linky party my blog will be having. Thanks for sharing your experience. 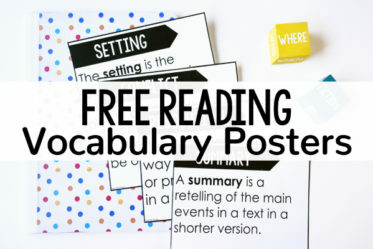 I will definitely head over to your blog and link up on Thursday! Thanks! I know, right? I have been jealous of the primary teachers with their snack math for too long! 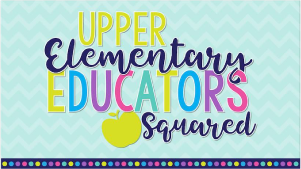 Time to let the upper grade kids have some snack math fun! Thanks for the freebie! 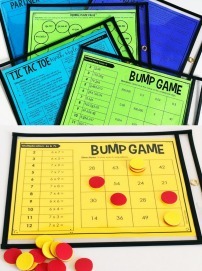 I know my students will enjoy this activity! I like to make learning as much fun as possible….sometimes they don't even realize they are learning! Those are the best times! I love when they don't realize how much learning and work is really going on! What an awesome idea! Thanks so much! I never thought of using Twizzlers! My kids will love you for this! I can't wait to use it!